In Palate restaurant, Iain Todd, the Executive Chef has ensured innovative dining does not compromise the true flavours of the freshest local produce. 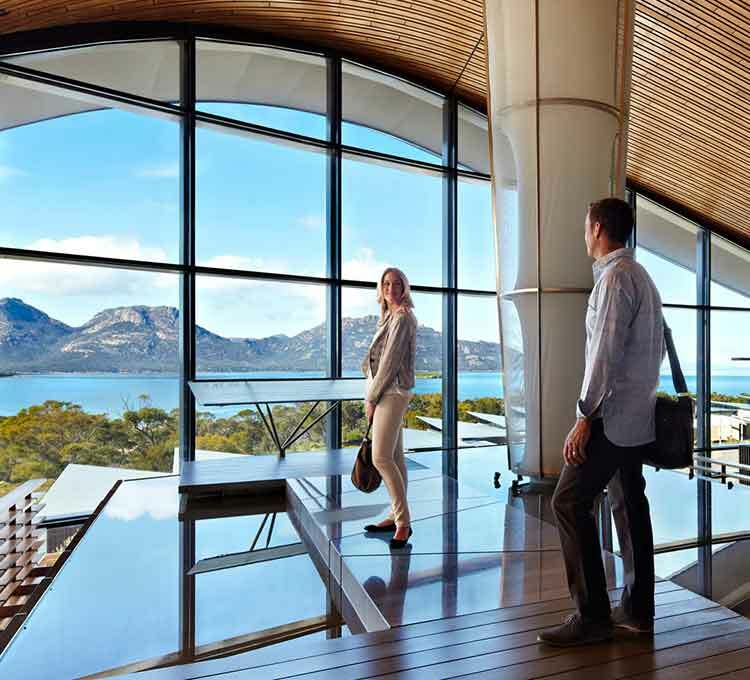 From breakfast through to a gourmet degustation or a la carte dinner, guests can customise their dining experiences to suit all tastes and schedules. All guests can restore their wellbeing in the premium spa facilities and on-site gym. 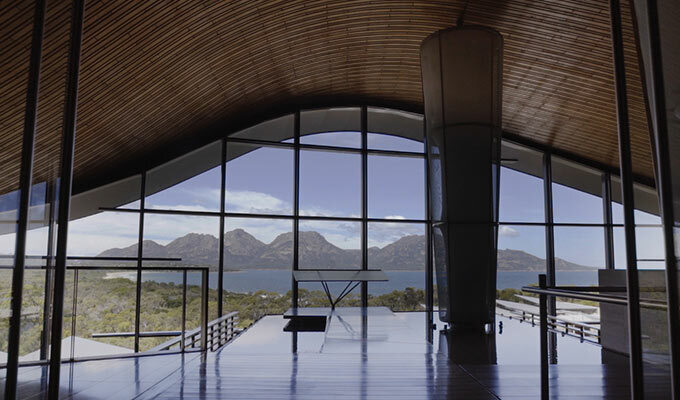 Soothe the busy mind and refresh the soul with a luxurious treatment in one of Spa Saffire’s three retreat rooms overlooking the inspiring landscape and reflective pools. 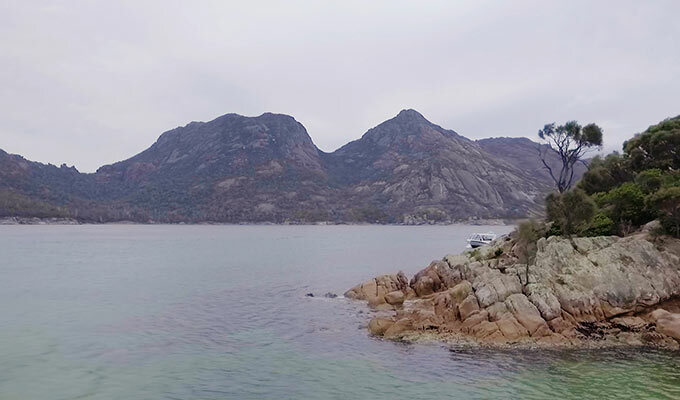 Treatments have been designed exclusively for Saffire by La Gaia and Payot, and hot stone massages with granite from the Freycinet Hazards Mountains are a unique, stand-out feature. 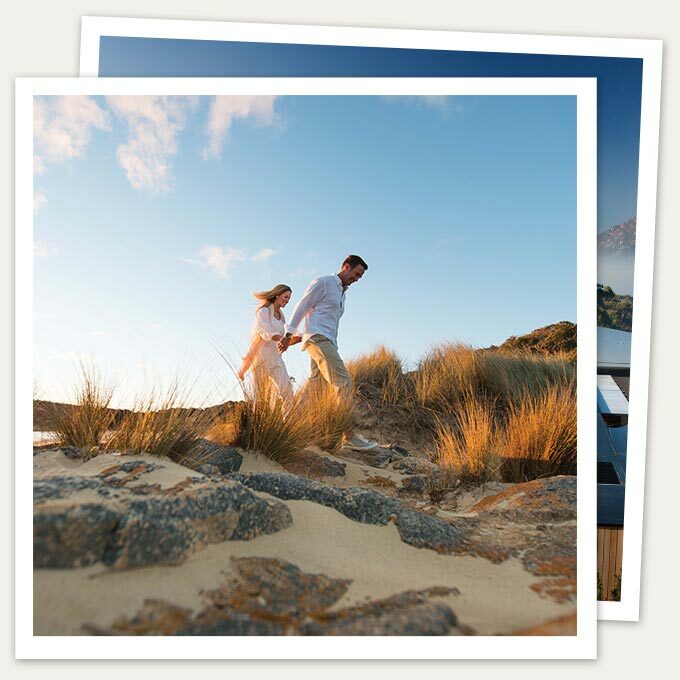 The Schouten Island Signature Experience has been designed exclusively for guests to deepen their East Coast discovery. 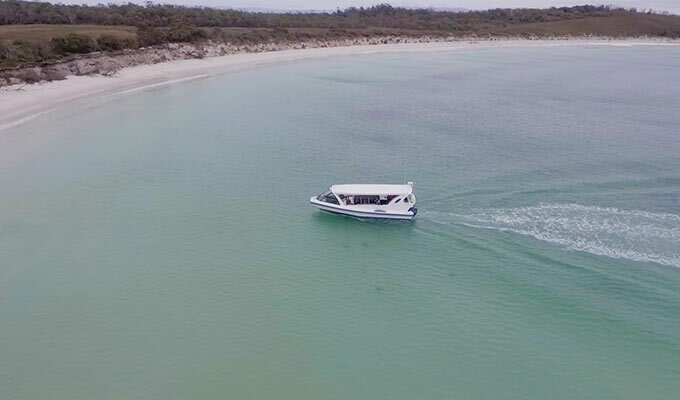 There’s a world of deserted islands, wild bushland and secluded beaches to explore. 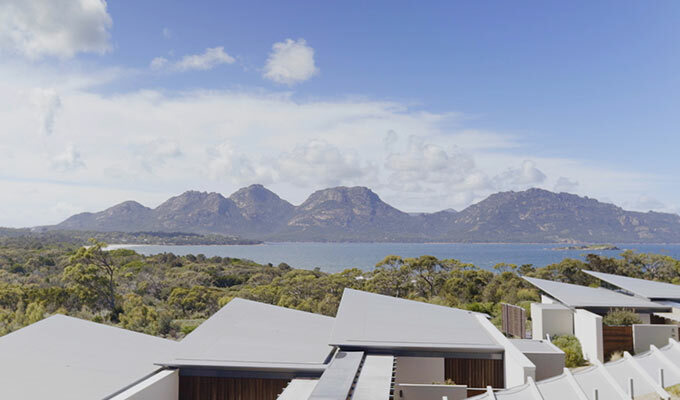 The design of Saffire is distinctly unique and recognisable, just like its location and the unmistakable peaked Hazards Mountains are framed in the main building’s roof line.